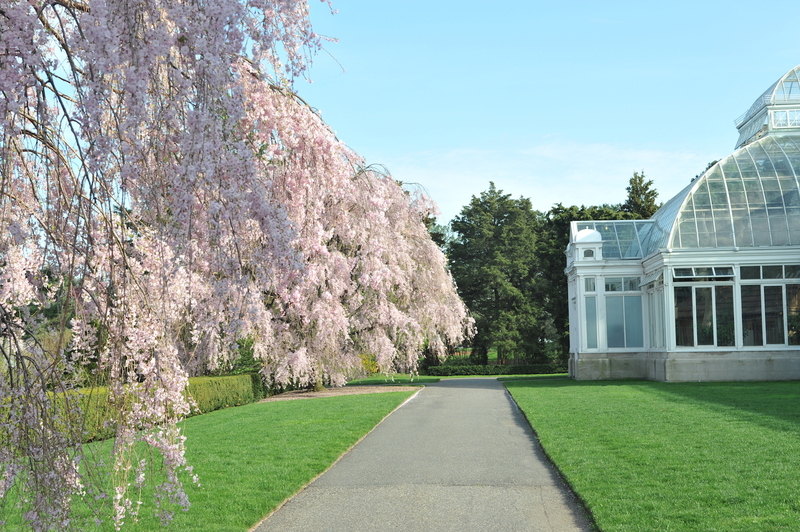 After a string of snowstorms, spring is finally on the horizon—and it’s about to bank on Brooklyn. 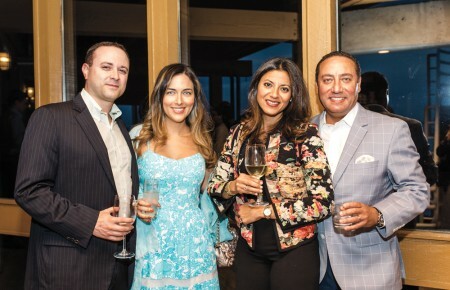 A stash of new one-time-only events and a mouthful of seasonally-driven menus are heating up the borough. Check out just a sample of what Brooklyn has in store this season. 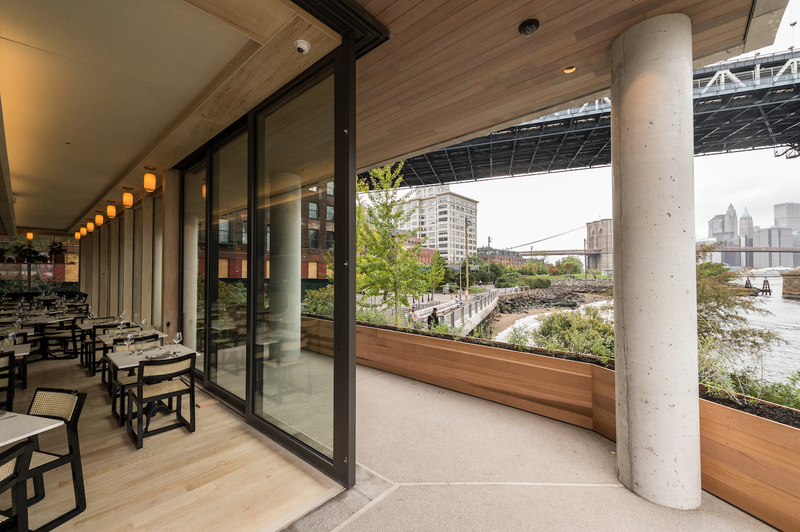 Dumbo, a formerly forlorn industrial district on the banks of the East River, is shaping up as Brooklyn’s most promising waterfront. The neighborhood, centered between the Manhattan and Brooklyn Bridges, bustles with 19th-century storehouses which, once shabby, are now stylish boutiques, galleries and restaurants. For a taste of the flourishing scene, head to Randolph Beer DUMBO, the neighborhood’s first-ever brewery, or Celestine restaurant for modern Mediterranean (not to mention stellar views of Brooklyn Bridge Park, the beautifully landscaped promenade with some of the best views of lower Manhattan). 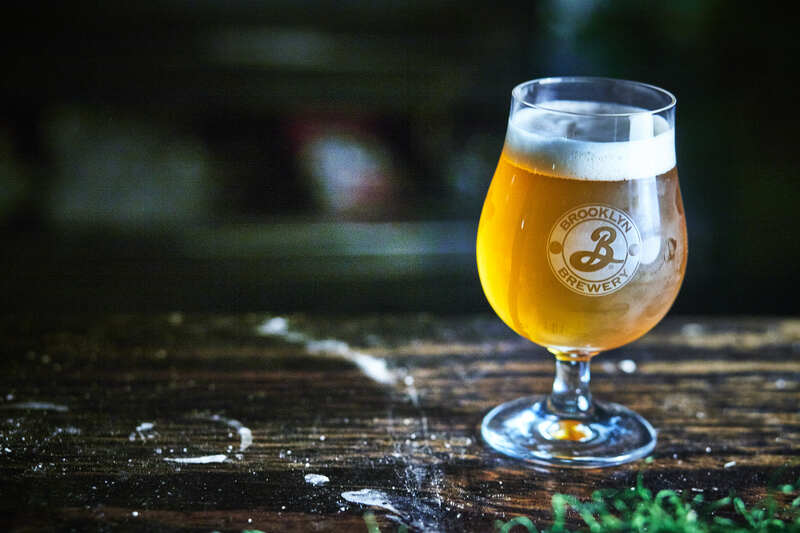 One of the only things that Brooklyn Brewery’s Beer Mansion doesn’t promise is an actual mansion—but with live music, one-of-a-kind games, art exhibitions and a range of beer tastings, it’s just as indulgent. The traveling event made its Brooklyn debut last year, and returns once again for a weekend of beer, and beer-adjacent activities. Held below the soaring oculus inside Williamsburg’s restored Weylin building, the lineup includes food vendors from El Atoradero to Pig Beach, and all of the Brooklyn Brewery tastings you can handle (plus pours from fellow breweries like Mikkeller and Transmitter Brewing). 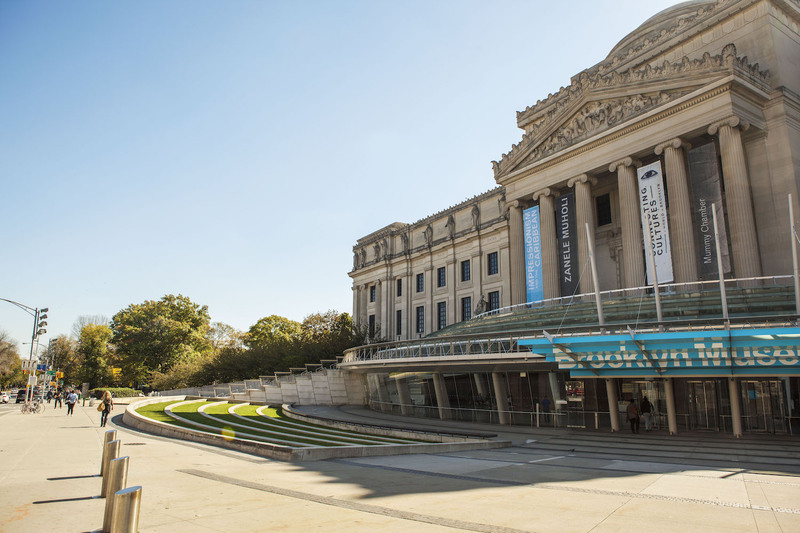 (Friday, April 13–Saturday, April 24; admission 21+, $65-$120 when purchased in advance). 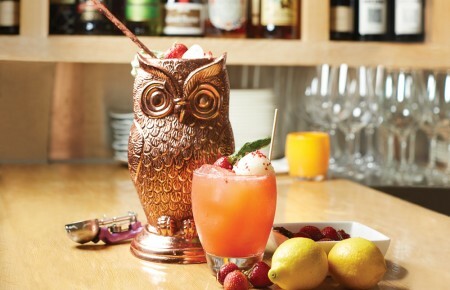 If you missed The Bloody Mary Festival, fear not: The spirit abounds in spring with a handful of first-ever brunch menus from of-the-moment restaurants. 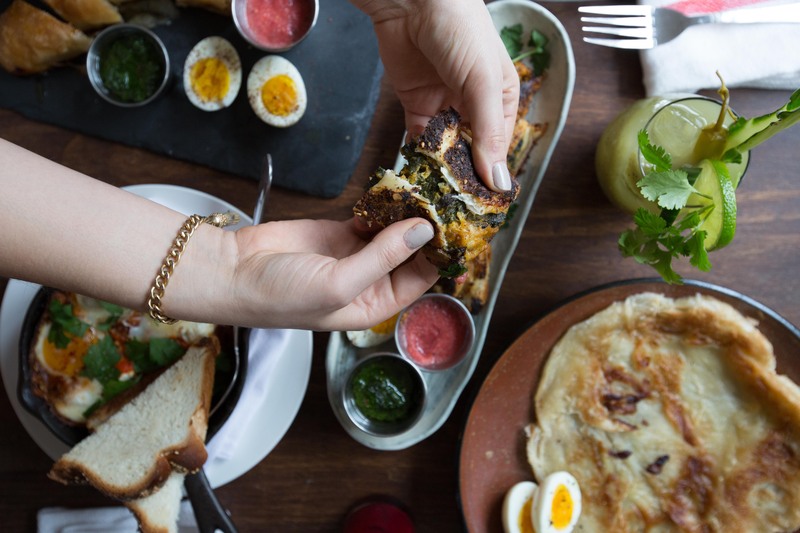 Just over a year old, Miss Ada, a mere half-block from the leafy Fort Greene Park, is among NYC’s latest batch of modern Israeli joints and has just debuted a brand-new Sunday-only brunch menu. The dishes take on traditional Israeli staples with a creative spin; think Shakshuka with challah, but also more curious items like Jachnun, a house-made pastry somewhat like baklava, but savory. Better yet? The menu pockets five different takes on the Bloody Mary—consider yourself spoilt for choice. Adding to Brooklyn’s brand-new brunch lineup, Olmsted—an ingredient-driven Prospect Heights restaurant rarely seen without a line out the door—just debuted its first-take on brunch. Opening up its backyard garden (a working garden, for what it counts) for spring, the menu brings unusual flavors like butternut squash bread, homemade yogurt and granola (topped with honey made by the chef’s father), and crunchy egg rolls filled with cheddar, steamed eggs and bacon. When news of Franny’s closure spread (one of Brooklyn’s most “Brooklyn” restaurants, beloved for its wood-fired pizzas) its Park Slope location had big shoes to fill. Now, the new Fausto is filling those shoes—and doing so without losing Franny’s flair (it’s using the original wood-burning ovens). 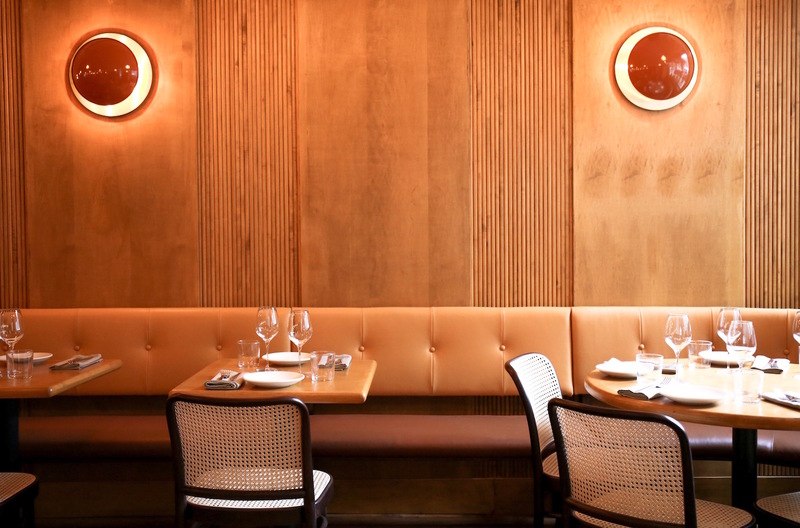 Instead of pizza, Fausto brings house-made pasta to the table, an elevated interior (think Venetian-plastered walls and a travertine-and-marble bar) and a carefully curated wine list. While we wait for Sunset Park’s upcoming Spring debut of Japan Village (an Eataly-style food court complete with a sake store), there’s no shortage of trendy food courts in Brooklyn. Opened at the tail end of spring last year, downtown Brooklyn’s DeKalb Market Hall is still new and buzzing. 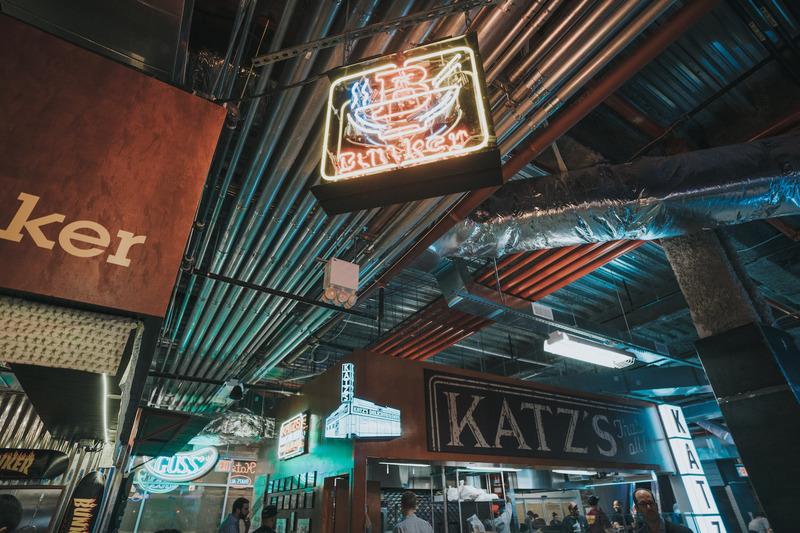 The subterranean food hall spotlights outposts from fan-favorite joints like Manhattan’s Katz’s Deli (grab that famous corned beef sandwich) to Brooklyn’s Bunker (go for the Vietnamese banh mi) for a crash course in NYC’s tastiest eats.